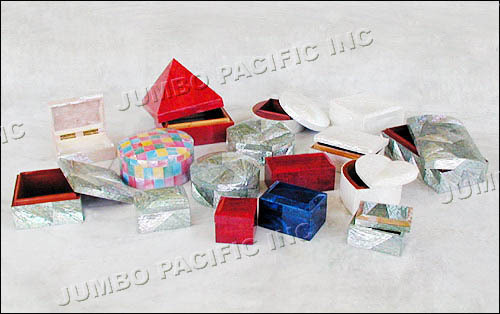 Jumbo Pacific's Jewelry Box collection was made from the high quality materials known from nature. 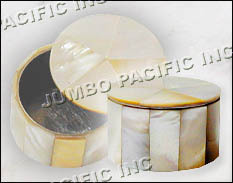 All beautifully hand-made from the world-class shell crafters. Proudly made in the Philippines. 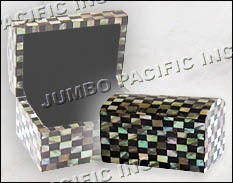 Box with Brownlip shell in cracking design finish. 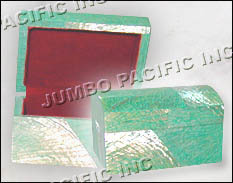 Green box with Abalone shell finish. 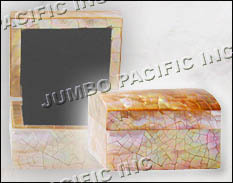 Box with Nautilus shell in cracking design finish.